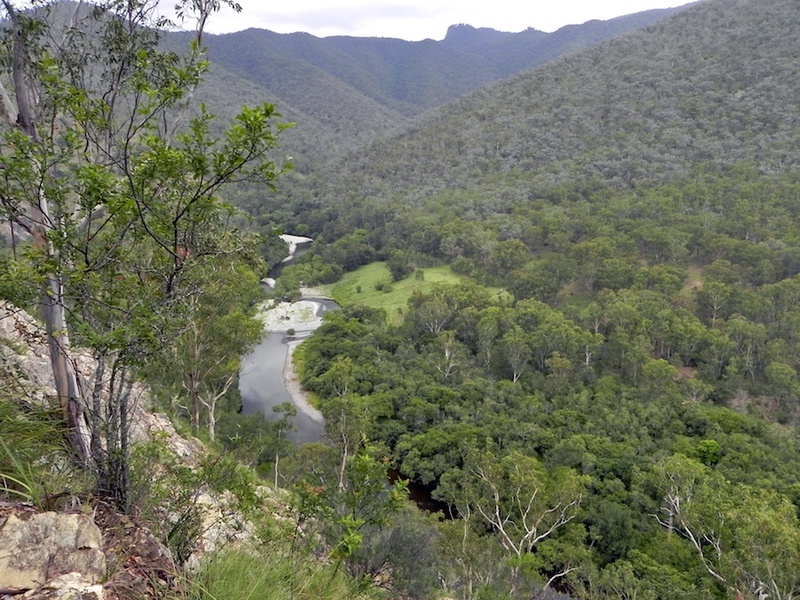 This view looks down the Macleay River and gives a good idea of the type of terrain we cover on our treks. Our starting point is the Tablelands upon which we live (top of photograph). A typical walk will see us descend to the level of a river, then walk alongside and/or cross the river some number of times, then, come time to leave, climb up out of the gorge, following a spur up the escarpment, and back up to the tops. The ascent will be in the order of 650 to 800m. (2100 to 2600 ft.). Nice view. I have to get back to bushwalking with some descent ascents. Urban Sydney doesn’t have enough hills. I can see a good place to set up camp.